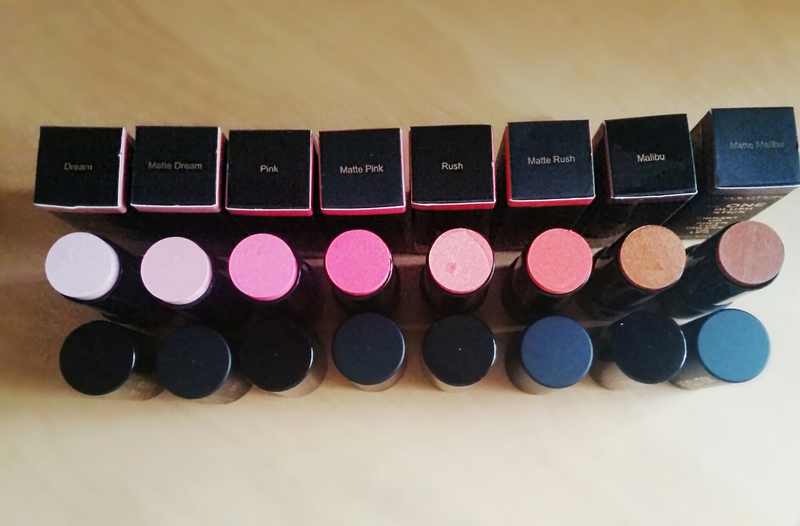 Dream, Matte Dream, Pink, Matte Pink, Rush, Matte Rush, Malibu and Matte Malibu. They can be applied dry for high intensity colour, or wet to sheer them out. I have found applying with the stick then sheering out with a damp beauty blender to be the most flattering on my extremely fair skin. These are very similar to NARS The Multiple sticks (although exact shade dupes I’m unsure of at the moment) However at only £5 each they are a huge fraction of the price. And even though they are extremely cheaper, the quality is still mind blowing. 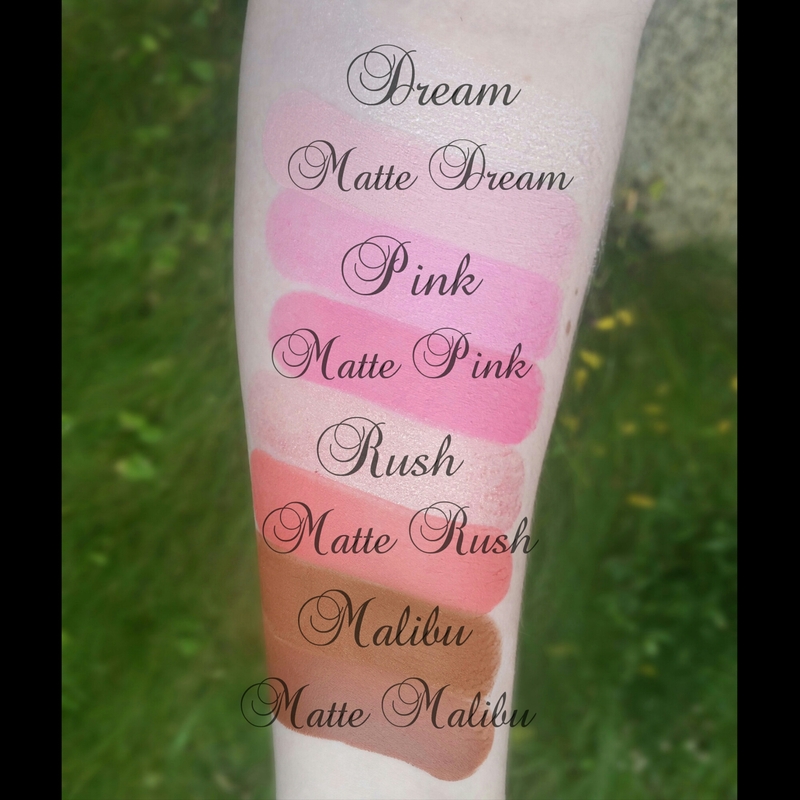 Here are the swatches of the blush sticks. As you can see Dream is a beautiful highlight shade, and Malibu and Matte Malibu and more bronzer shades. You should be able to find a shade to suit your skin tone in this bunch. I personally find Matte Dream and Rush applied dry and blended out and Matte Rush (sheered out with a BB) to suit me best out of the shades. The formulation is creamy and smooth, and blends like a dream. And they last a lot longer than powder blush. I have tried Matte Dream out today and it has stayed put the whole time. I applied over my foundation, then set with a translucent powder, you could also set this blush with a powder blush. For a fiver each, you just can’t go wrong! 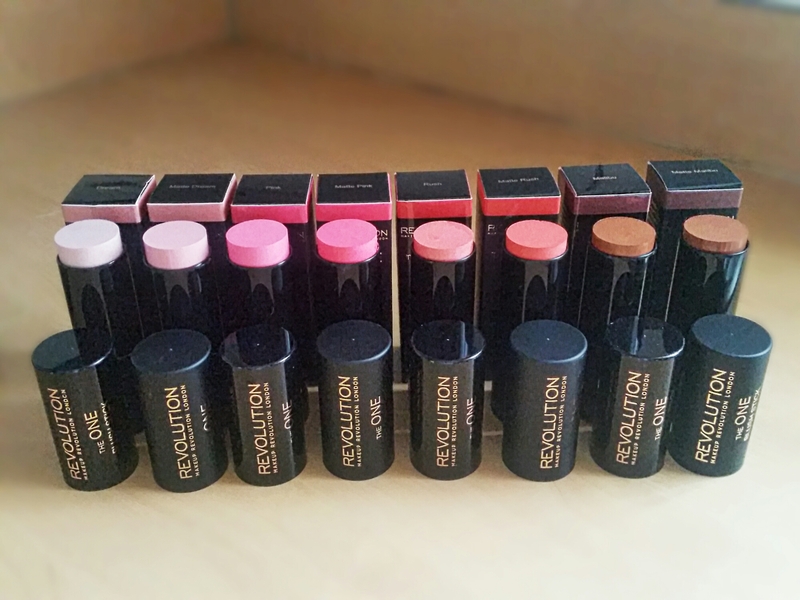 Well done AGAIN make up revolution, there’s a reason this brand is hyped up so much! Affordable, yet quality products every time. beautifuldarkness1 on The Kylie lip!